our headquarters office is closed for summer break, but Kito Onlus never goes on holiday! 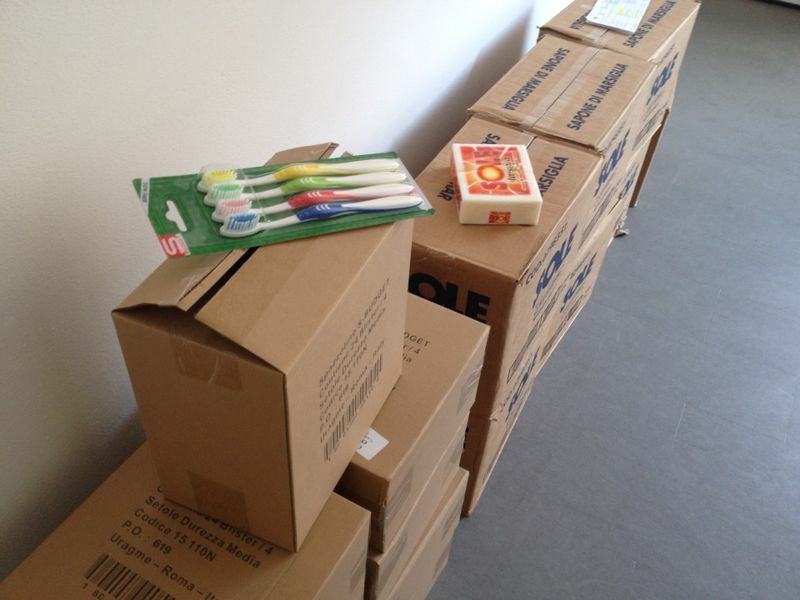 Indeed, in the last few weeks we worked on preparing some hygiene kits to be sent to the Philippines in order to help local communities to improve their living conditions. During the rainy season, Filipinos live in constant emergency and basic personal hygiene items play an important role in preventing disease outbreaks. In addition, they contribute to people’s sense of dignity in difficult circumstances. Kito Onlus is very excited to announce that the Despar supermarket in Padua, Italy, member of the international food retailer Spar, decided to support our cause and donated the items we needed. Hoping that this will be the first step towards a long-lasting partnership, we would like to thank Despar for the generous contribution!